Commack is a hamlet and census-designated place located in Suffolk County, Long Island New York. As of 2010 census, there were 36,124 people, 11,540 households and 9,717 families residing in the CDP. The median income for a household in the CDP was $108,311 and the median income for a family was $118,995. Males had a median income of $84,903 and $57,788 for females. The latitude of Commack is 40.842N. The longitude is -73.293W. It is in the Eastern Standard time zone. Elevation is 131 feet. The Commack Volunteer Fire Department, Station #2. 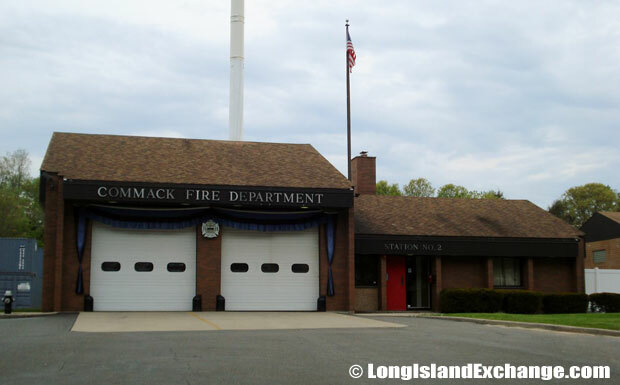 The Commack Fire Department celebrated 100 years of service in 2006. 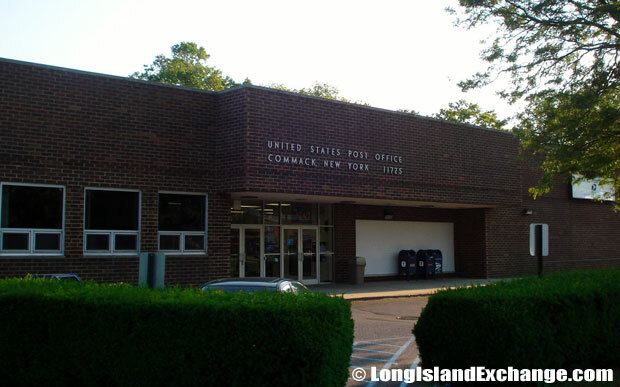 Post Office in Commack, New York. 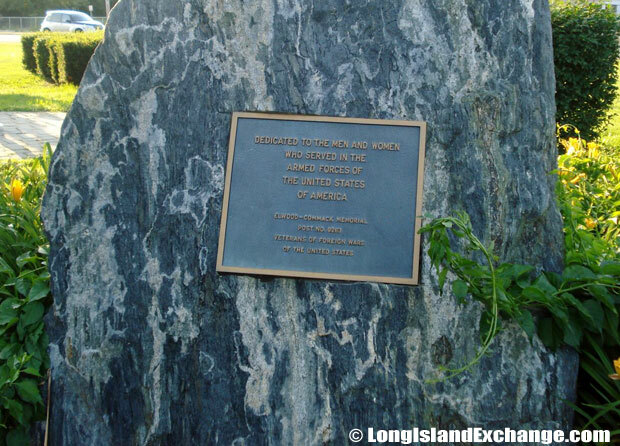 The name Commack comes from the Secatogue Indians who lived on the south shore between Copiague and Bayport. They named their northern lands in the center of the island Winnecomac meaning “Pleasant lands.” It was known for its very rich soil, abundance of game, and thick oak forests abounding with plants and wildlife. 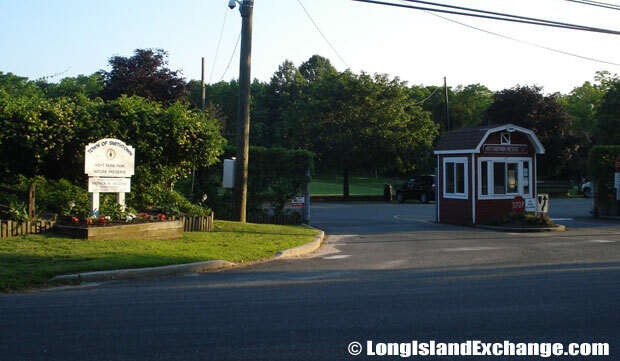 Today, the area settled and suburbanized like most unincorporated areas of Long Island, does not have a Main Street. The community is served by four major thoroughfares two of which are the Long Island Expressway, and the Northern State Parkway. 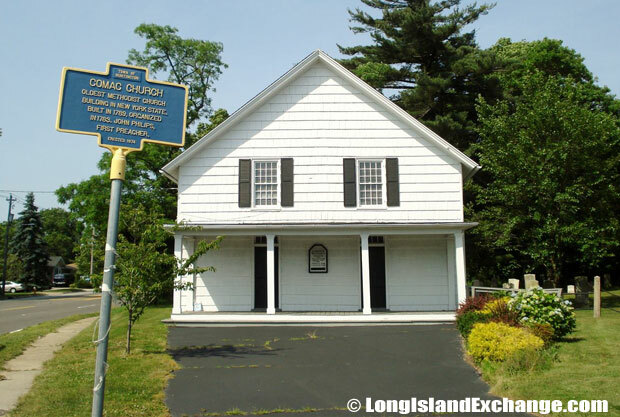 The oldest Methodist Church building in New York state, the Commack Methodist Church, built in 1789. The Commack Hoyt Farm Park is a 133 acre park with recreational, ball fields, a playground and a picnic area. After World War II the entire area developed and Commack became one of the fastest growing communities. Old farmhouses gave way to family homes in the 1950s. Long Island Expressway was built down the center of the island and came to an end here. Once a quiet crossroads with no traffic, Commack Corners is busy all the time now with eight lanes and many traffic lights. Today over thirty seven thousand people live in Commack and many commute for work. Commack is an integral part of a strategic patch between exits 54 and 57 on the Long Island Expressway and the hinterland of the MacArthur Airport. A war memorial dedicated to the men and women who served in the armed forces. Commack is a great place to live because of its closeness between businesses and many cul- de-sacs. It is a largely residential suburb of New York City. Many famous personalities reside in the area such as Bob Costa (sportscaster), Rosie O’Donneil (entertainer), and Big Brother winner Eddie Mcgee grew up in Commack. 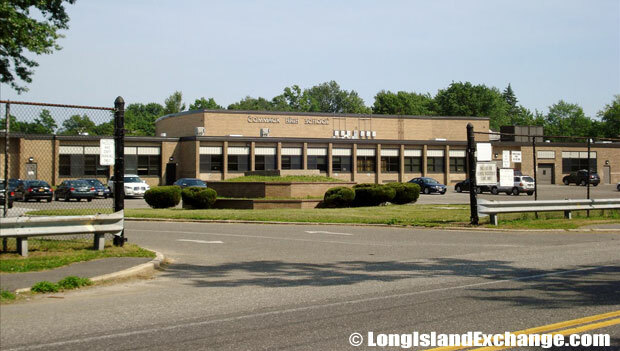 Hubbs Administrative Center, Commack Union Free School District. Commack High School services students in grades 9–12. The school day lasts from 7:30 AM to 2:25 PM. 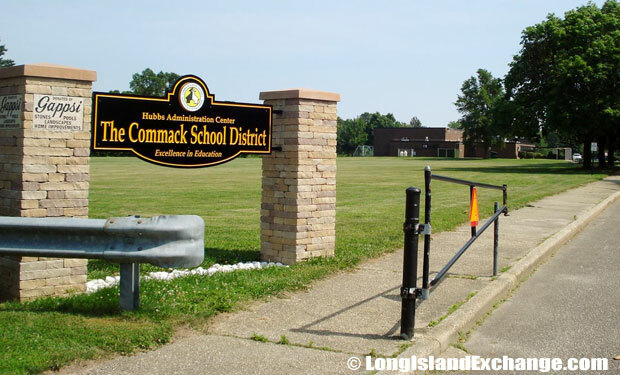 The Commack Union Free School District is a public school district that consists of eight schools. Commack Middle School took first place in the Long Island Regional Middle School Science Bowl academic competition at National Laboratory and went on to take seventh place in the academic competition in the National Middle School Science Bowl held at the University of Denver. About 97 percent of students plan to attend either a two or four year college. The Long Island Arena was originally played by the New Jersey Nets. It is now a shopping center that includes a Sports Authority, Borders Bookstore, and Target.